The other things on my mind today are…ugh…the AWFUL SuperBowl game last night. I’d be ok if Seattle won and the game was an actual game. But the way it went down was so very hard to watch and I’m sure it was harder for Denver to play. But regardless, I’m still a Broncos fan and I’m looking forward to next year! And then also, the tragic death of Philip Seymour Hoffman who was an excellent actor and I know he’ll be missed, not just by fans but my condolences go out to his friends and family. I also just finished an awesome crimson scarf yesterday. It’s made out of Lion’s Chunky Wool Ease yarn – soft and warm – and I hope to have that pic up tomorrow. Have a good one and come back soon! When you ask people what their favorite holiday is, they usually say Christmas or Thanksgiving since those seem to be the “big” ones. But my favorite holidays are actually Halloween – cause I like all the gross, scary stuff and then also Valentine’s Day cause I also like mushy gushy stuff. V-Day is approaching fast and I’ve been thinking about what to do this year. Chocolates and flowers are always a good idea, but if you’re looking for something this year that’s different and unique, check out these awesome blocks. I love the black/white/red color scheme which is classic, but if you’re looking for something softer like a study in pinks for example (one of my fav colors! 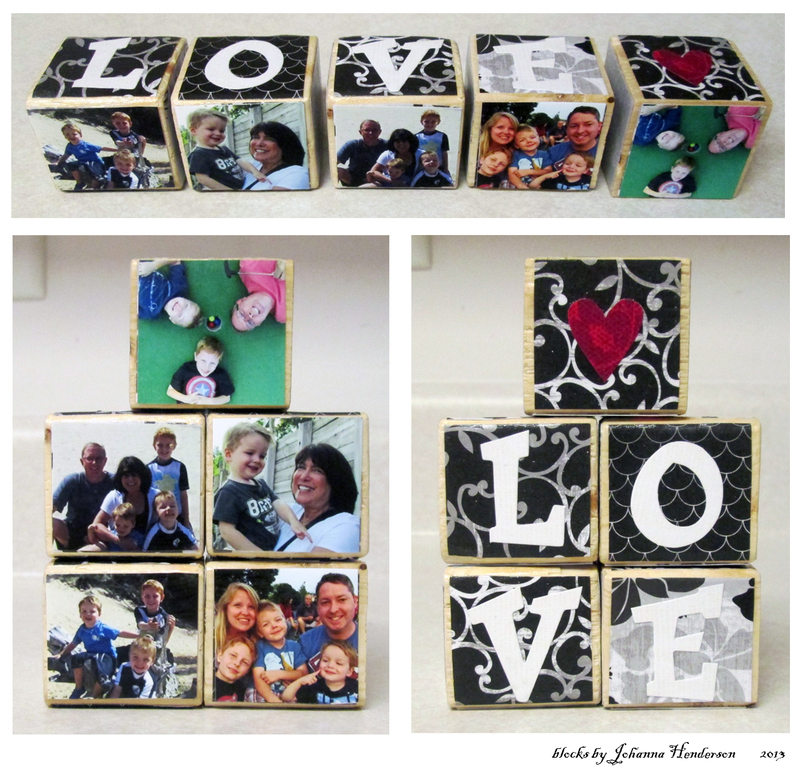 ), Johanna (our resident block maker) loves to work with you to create custom blocks personalized just for you! Send us your favorite pics and we’ll incorporate those in the design as well! If this isn’t your style, check back soon – we’ll be posting more Valentine’s Day decor. Happy Feb 14th everybody! Thanks to everyone who stopped by the Bazaar in November. We had a great time and enjoyed meeting old friends and new! PS. Still getting the inventory from the Bazaar up-to-date. Between Thanksgiving and my “other job”, it’s been pretty busy. So just email me if there’s anything in particular you’re thinking about! Today we’re at the Holiday Bazaar in Beavercreek at the Beavercreek Church of the Nazarene. Tons of really cool stuff. Come out and visit – we’re here until 3pm! Please bear with us – we’re updating the Store so if you saw something at the Bazaar that you’d like to order or get more info on, please email me at idabellemichelle@gmail.com and I’ll get back with you! What an awesome summer! I don’t know about you but I’ve been enjoying the good weather, family, and friends. We’ve been fortunate this year and have done lots of fun things like swimming every weekend, hanging at Kings Island, going to FREE movie screenings…why didn’t I know about these before?? Anyway, too much fun time to be working on projects, but I did want to check in with you all and share about my current one – it’s a hooded baby blanket. I think it’s precious…or at least the picture on the yarn skein is precious. We’ll have to see about mine when it’s done! Hope you’re having a great summer – happy crafting! Welcome to Ida Belle Michelle! 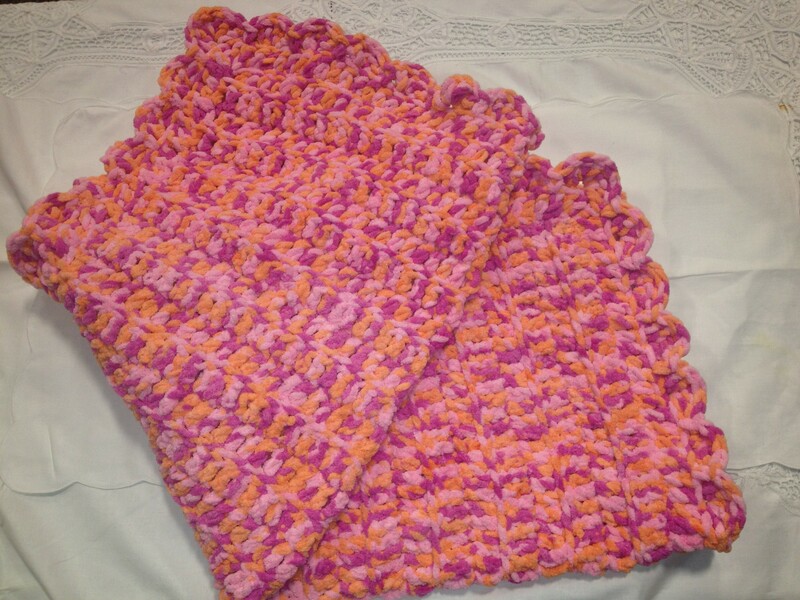 I’ve always enjoyed creating baby shower gifts and afghans for special occasions – usually for family or close friends. And now I get to share that with you too. What I love about this website, is that it’s not just about me, but it’s also about my friends and other crafters who have posted on here. They are such creative people and I wanted a way to showcase their work too. You can SHOP here! I’ve created some really cute baby blankets this month – one of my favorites is the one I made for little Cooper West, so cute!! Take a look around and if you see something you like, let me know!